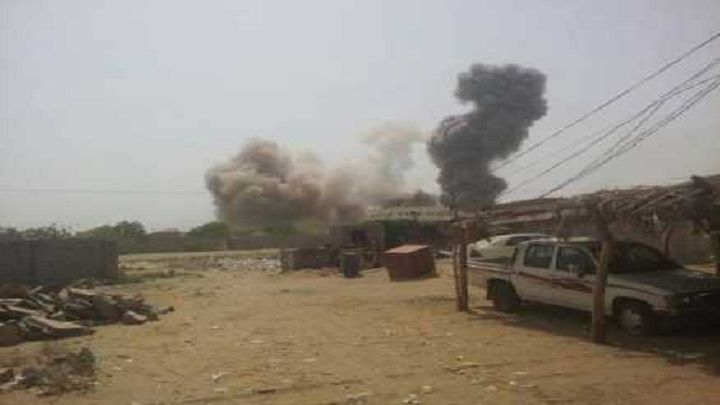 The warplanes of the Saudi-led coalition launched a series of raids on the border districts in Hajjah province on Saturday. According to a local source in the province, the US-backed coalition conducted six raids targeting civilian farms in the area of Al-Jar in Abss district. In addition, the Saudi-led coalition launched 15 raids on different areas in Haradh and Medhi districts on the border, causing heavy losses and damage to the homes and property of the citizens. It is worth mentioning that the Saudi-led coalition attacked the districts of Haradh, Medhi and Abss with thousands of air strikes over three years of war, which led to the displacement of thousands and the destruction of all public and private property in the targeted districts.